PETALING JAYA (4 Nov 2018) – Malaysian national coach Tan Cheng Hoe has picked his final squad for Malaysia’s campaign in this year’s AFF Suzuki Cup – confident that those picked will be able to “deliver” in the premier ASEAN football event. 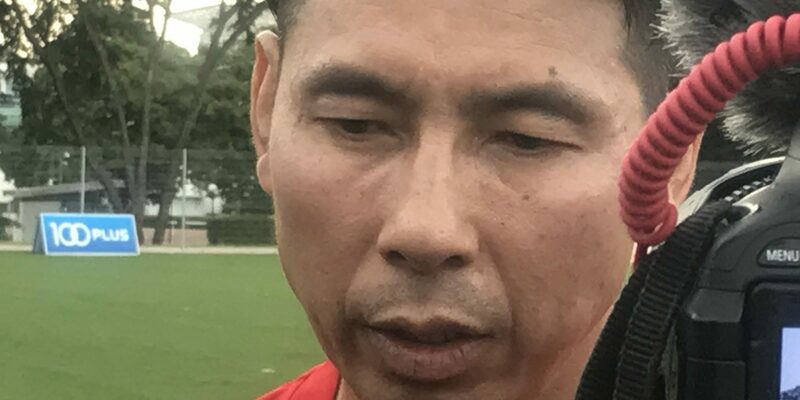 In the process, Cheng Hoe dropped three players – Johor Darul Takzim (JDT) defender Azrif Nasrulhaq Badrul Hisham and midfielders Nor Azam Azih (Pahang) and Azizan Nordin (Sabah). “The three were dropped for nagging injuries and inability to blend into the squad,” said Cheng Hoe who announced his final 23-player squad on Sunday after Malaysia’s ‘A’ international friendly against the Maldives at the National Stadium in Bukit Jalil on Saturday. Malaysian won the match 3-0 with goals by skipper Zaquan Adha Abdul Radzak, Safawi Rasid and Gambian-born naturalized Malaysian Mohamadou Sumareh. Nor Azam is nursing a hamstring injury while Azizan is down with an ankle injury. Azrif reportedly failed to impress and “not up to the mark” during training and the match against the Maldives. The squad also includes other players who are not at 100% and they are Akhyar Rashid (groin injury) and D. Kenny Pallraj (ankle). However they are expected to recover in time for Malaysia’s opening match in the Suzuki Cup, which is against Cambodia at the Olympic Stadium in Phnom Penh on 8 November. Out of the 23 players, eight are from the 2016 squad. They are goalkeepers Khairul Fahmi Che Mat and Hafizul Hakim Khairul Nizam Jothy, defenders Shahrul Saad and Nazrul Naim Che Hashim, midfielder Syazwan Zainon and strikers Zaquan Adha Abdul Radzak and Norshahrul Idlan Talaha. Malaysia are in Group A in the AFF Suzuki Cup together with Vietnam, Myanmar, Cambodia, and Laos. Defending champions and five-time winners Thailand, four-time winners Singapore, Indonesia, the Philippines, and Timor Leste make up Group B.
Forwards: Ahmad Hazwan Bakri, Syafiq Ahmad, Zaquan Adha Abdul Radzak, Norshahrul Idlan Talaha, Shahrel Fikri Fauzi.